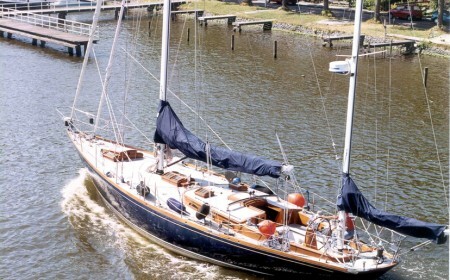 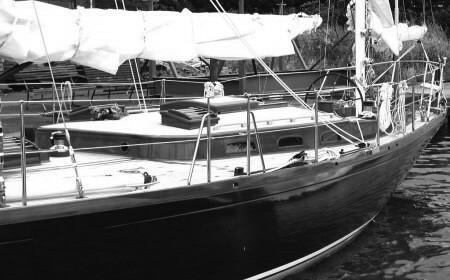 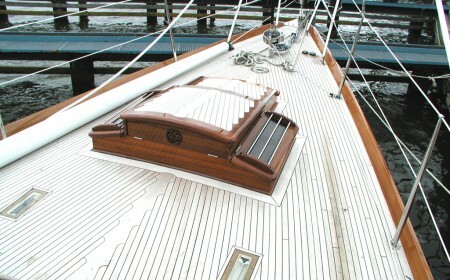 Built in 1971 by Nautor, the Swan 55 Laurita spent two decades sailing the archetypal yachting areas of the Americas. 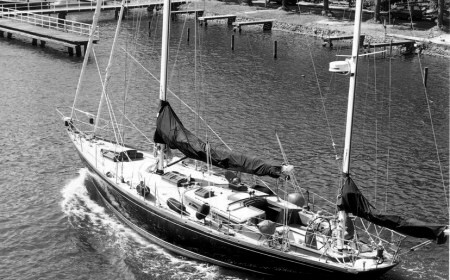 A common sight in New England, she was no stranger to Sag Harbor, Block Island or Newport, where she competed in the Swan Regatta. 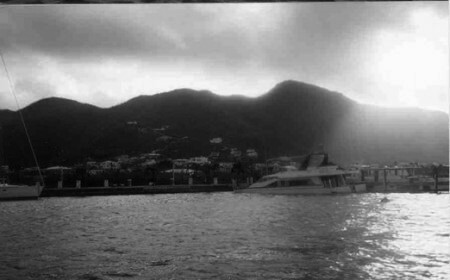 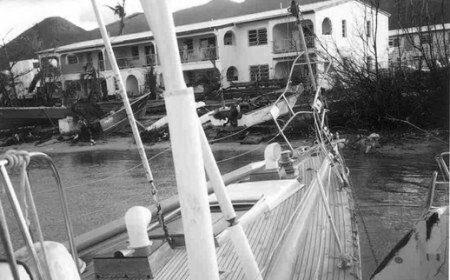 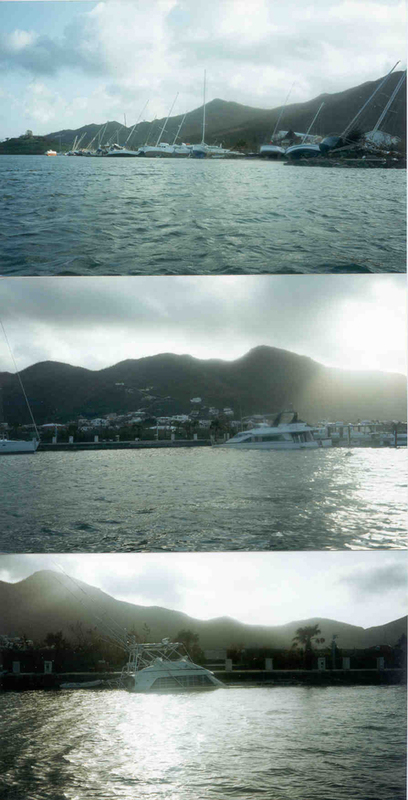 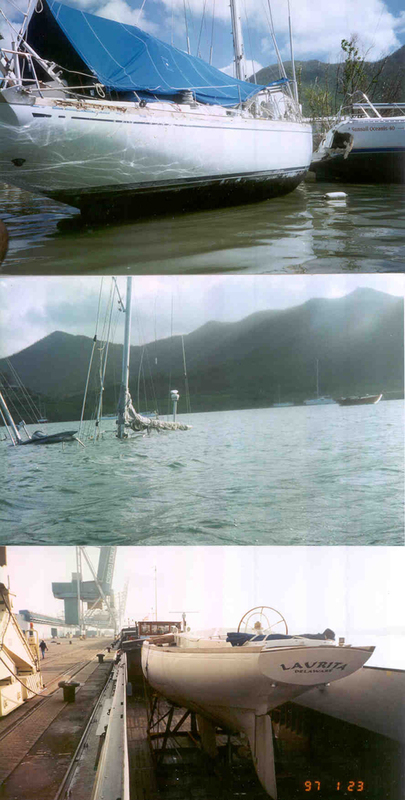 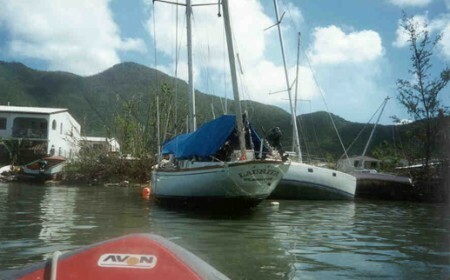 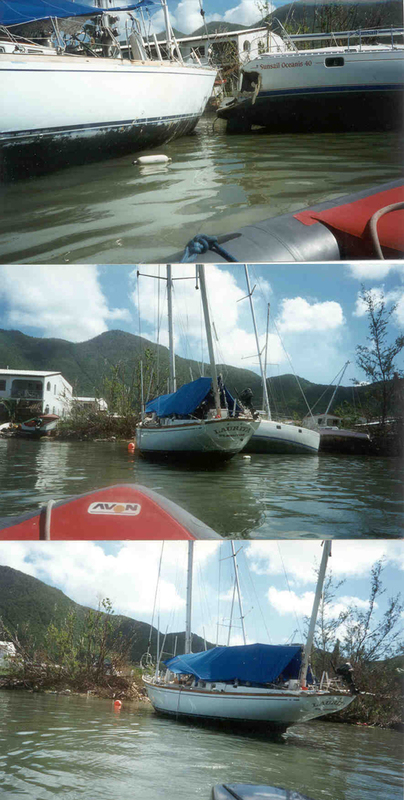 Another favourite stomping ground was the Caribbean, not least the French West Indies. 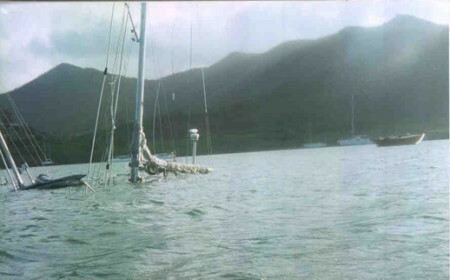 All this came to an abrupt end when she was severely damaged in a hurricane in the mid-1990s. 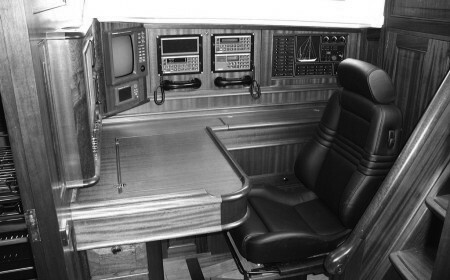 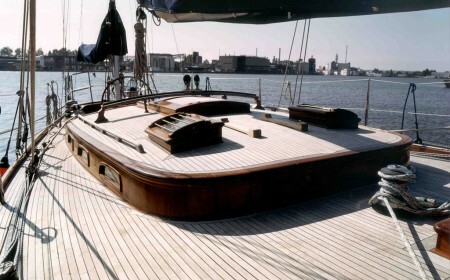 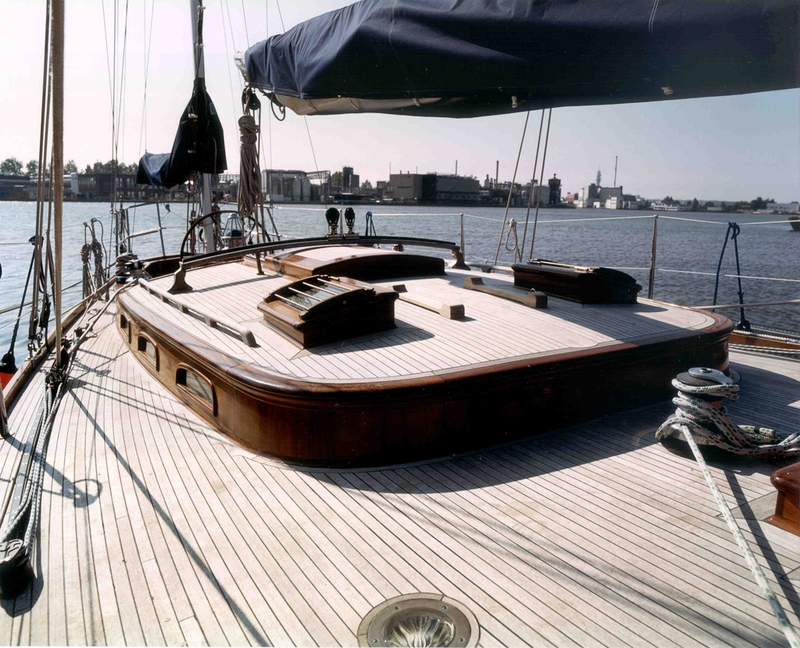 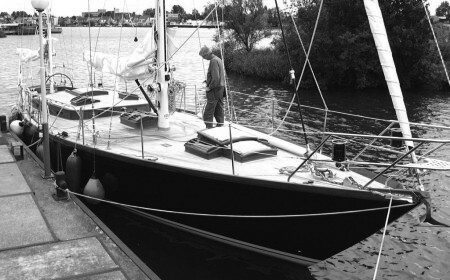 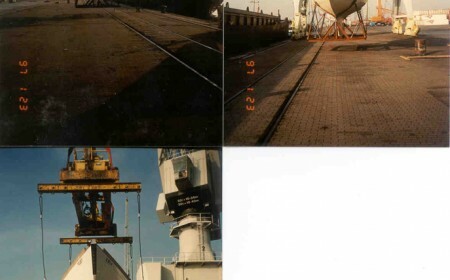 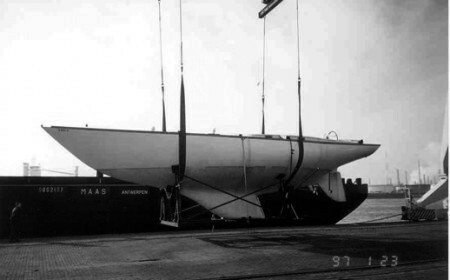 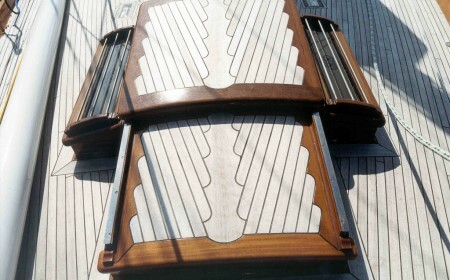 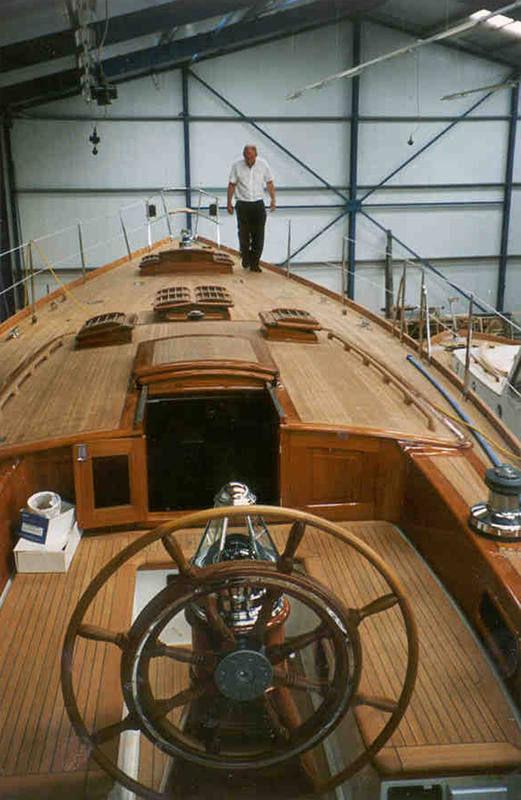 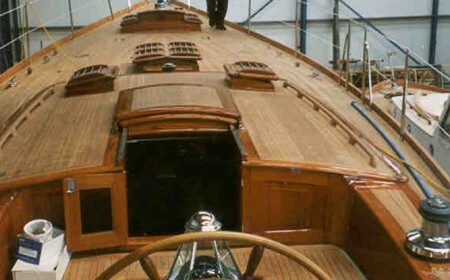 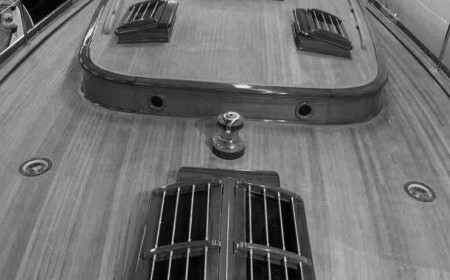 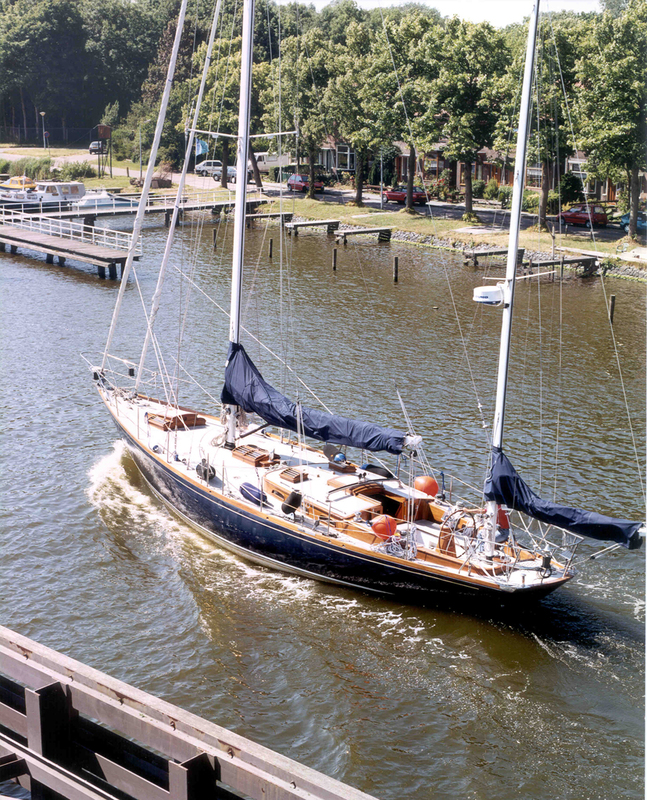 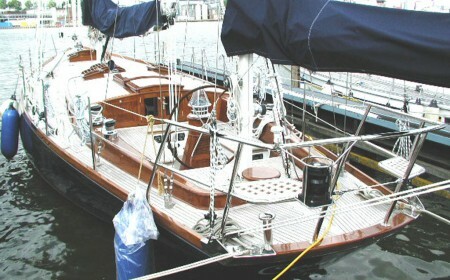 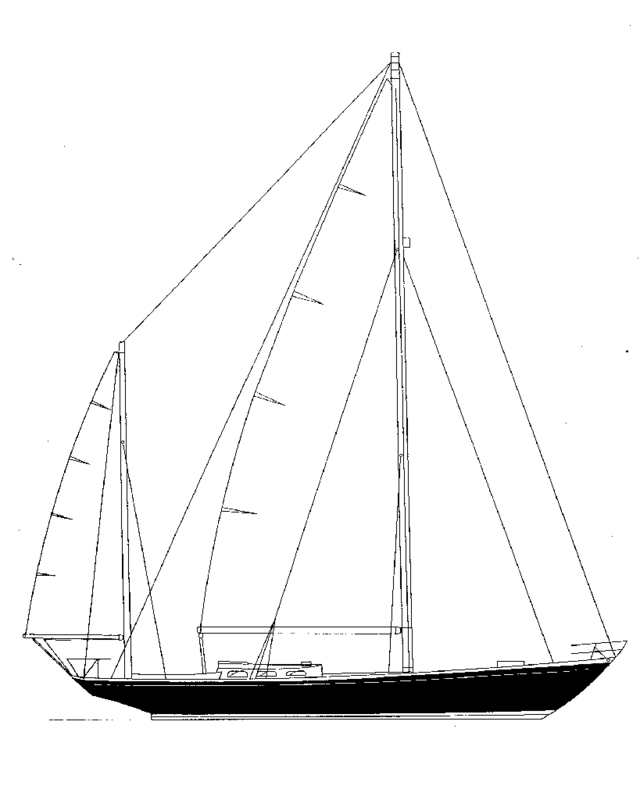 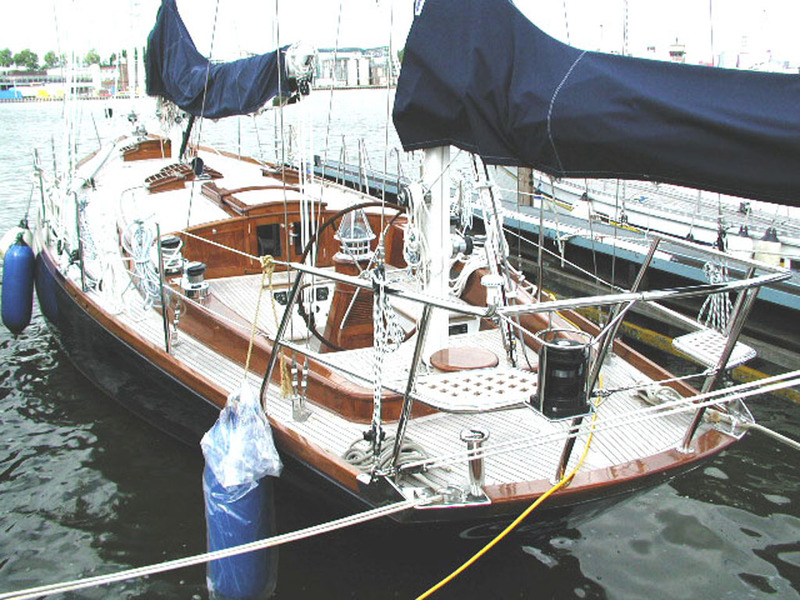 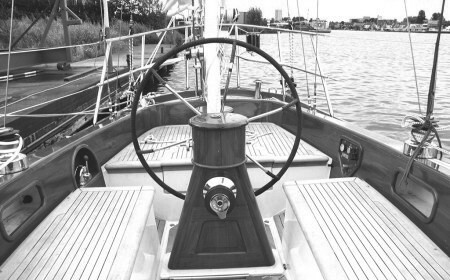 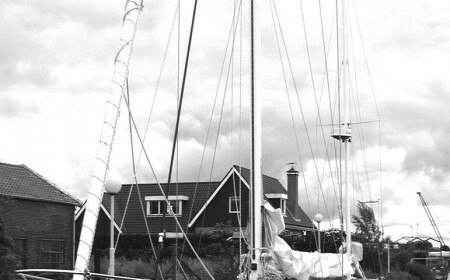 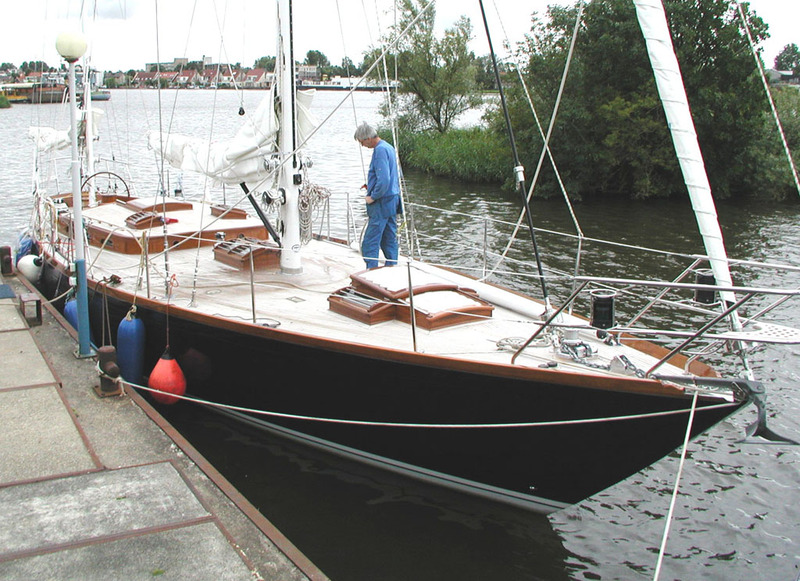 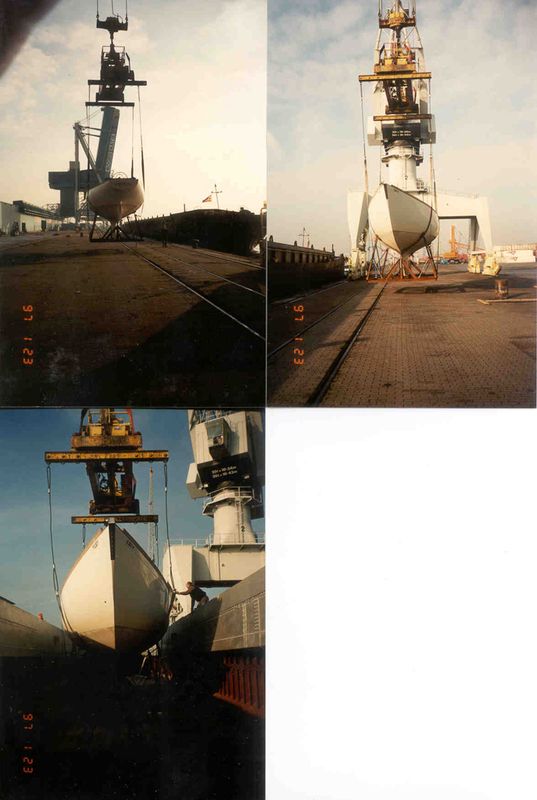 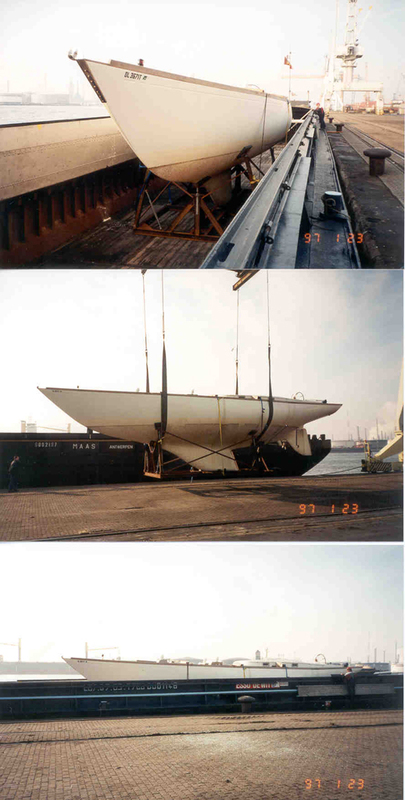 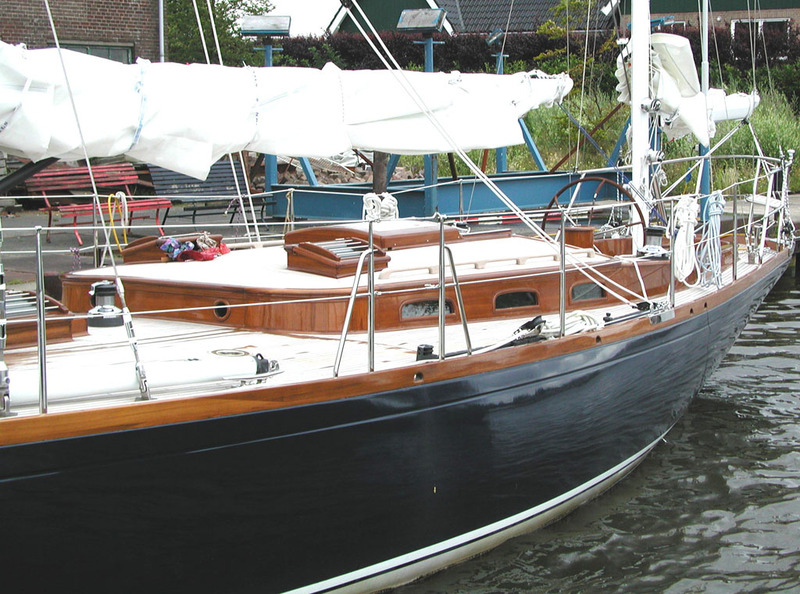 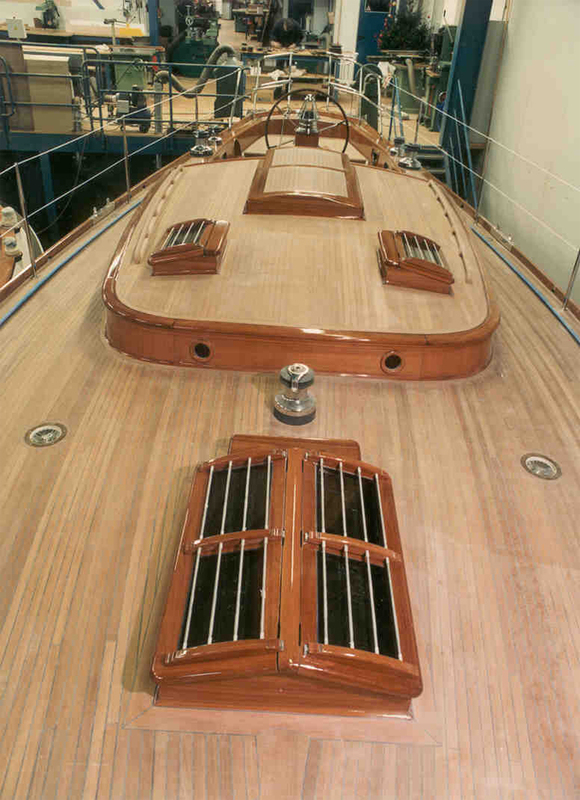 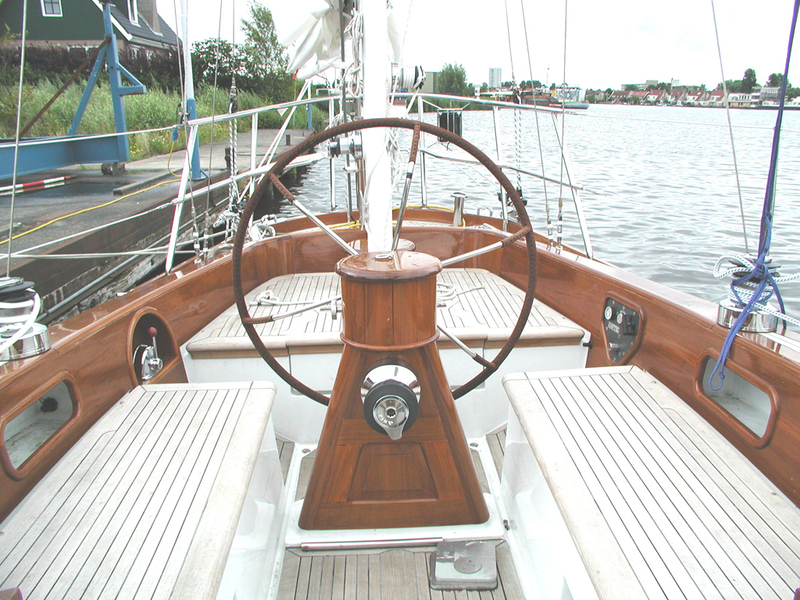 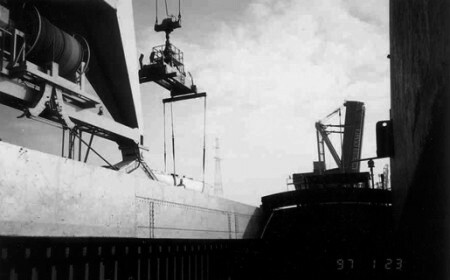 Stripped bare, the polyester yacht was brought to the Netherlands, where she underwent a refit at the Claasen yard in Zaandam. 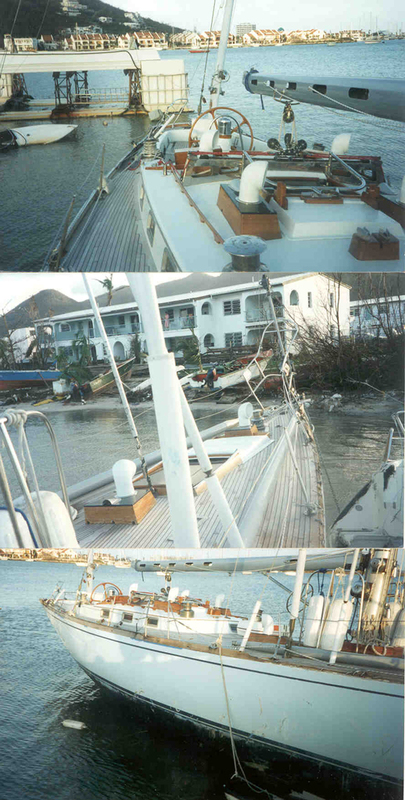 The damage was such that the comprehensive refurbishment took three years. 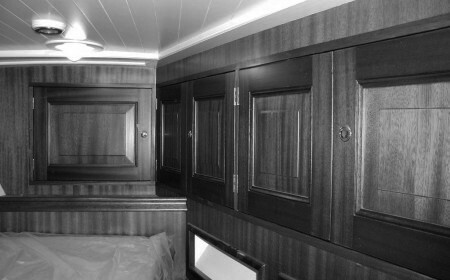 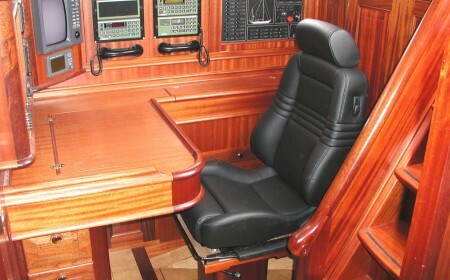 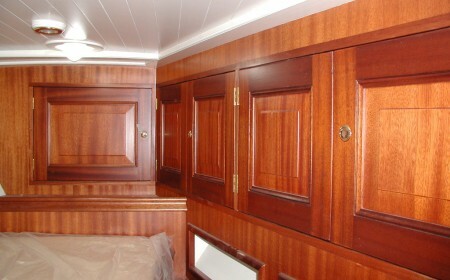 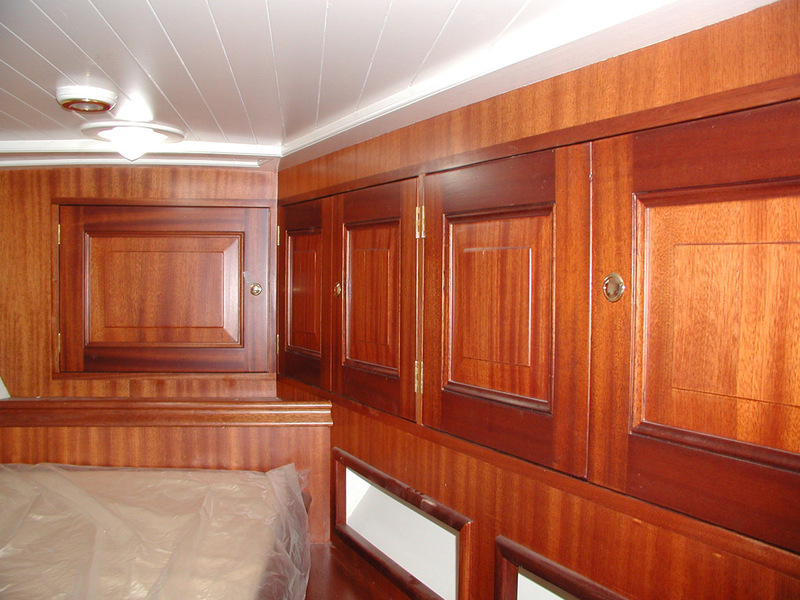 All systems were renewed and all woodwork replaced or repaired. 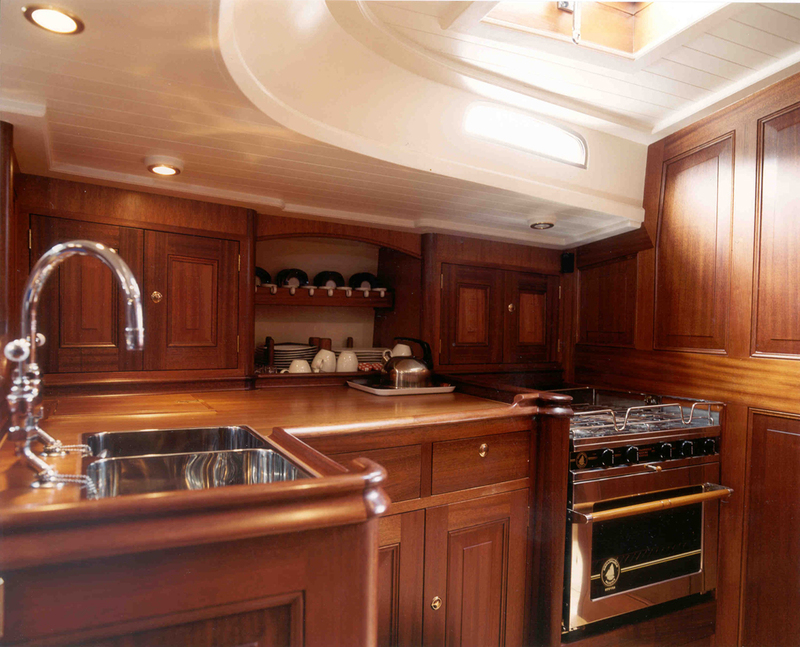 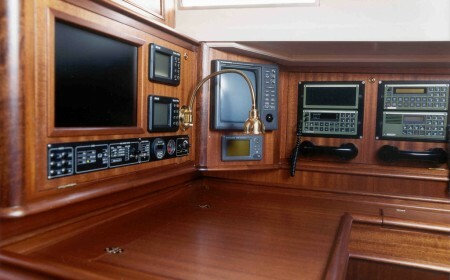 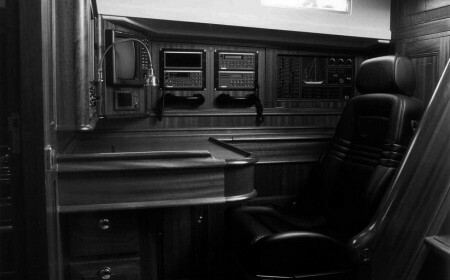 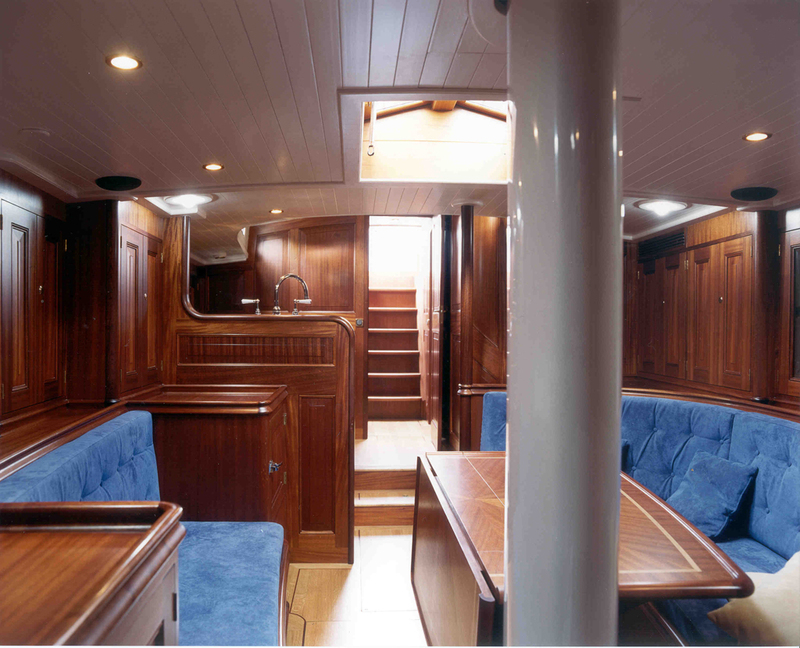 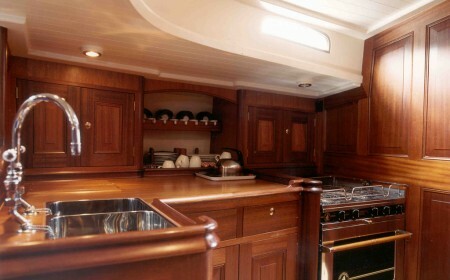 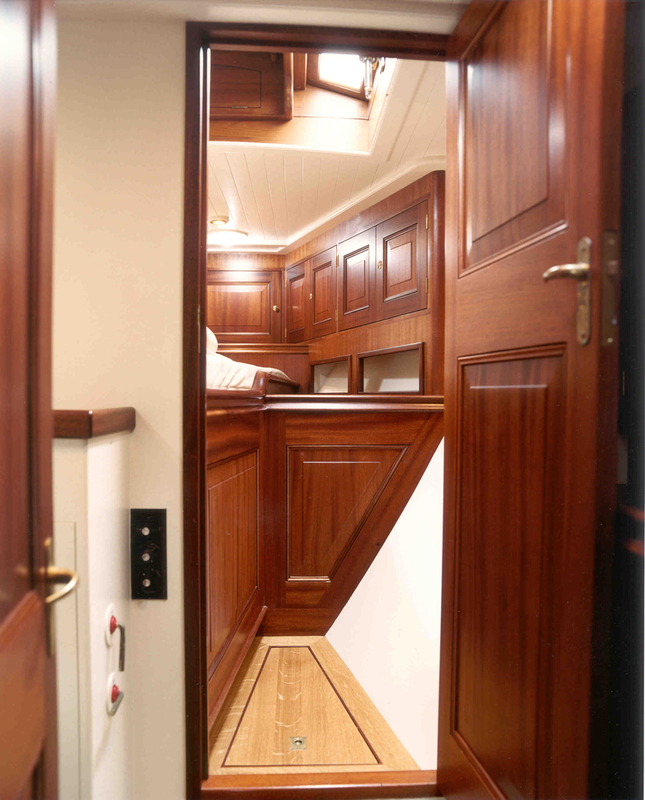 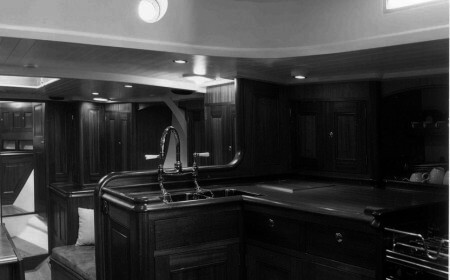 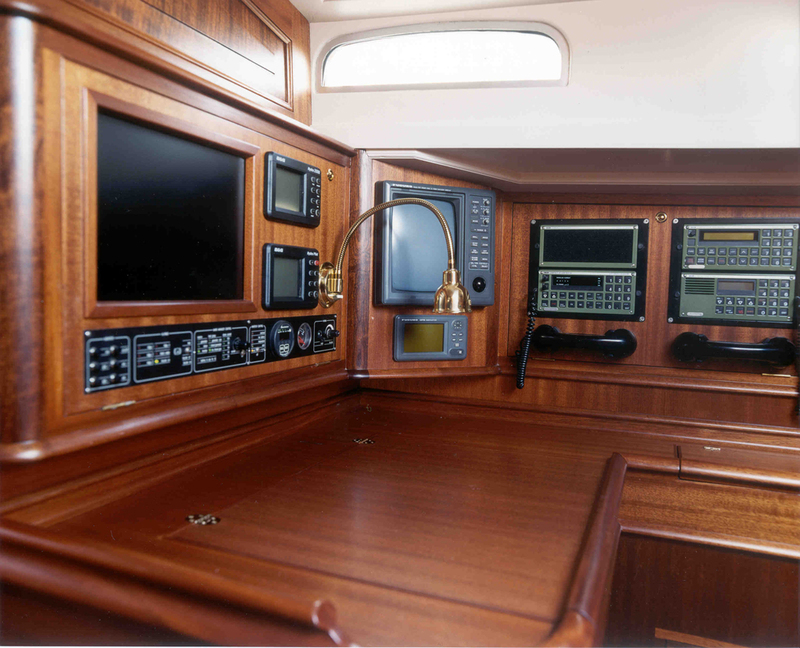 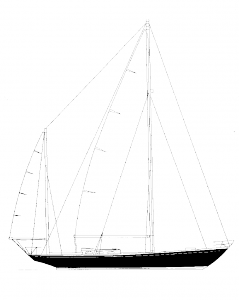 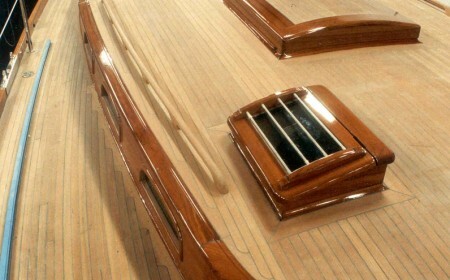 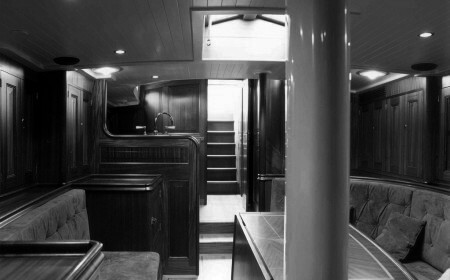 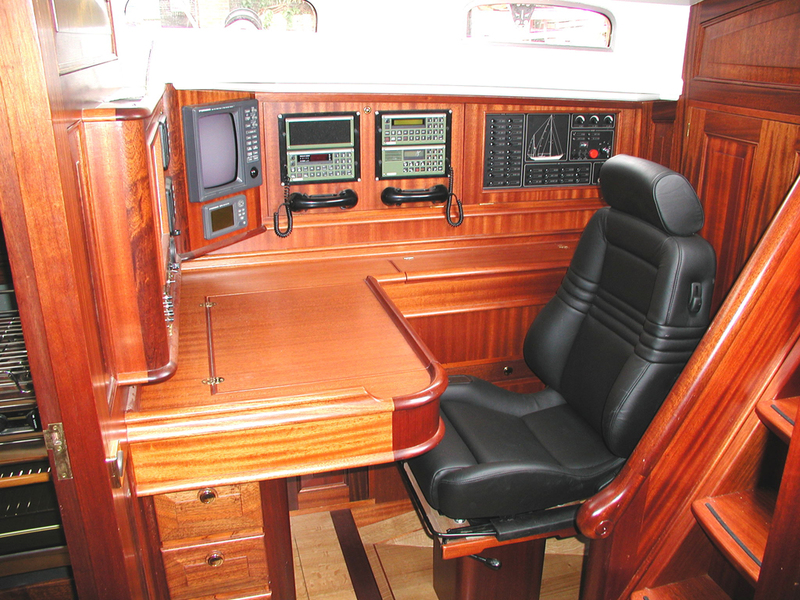 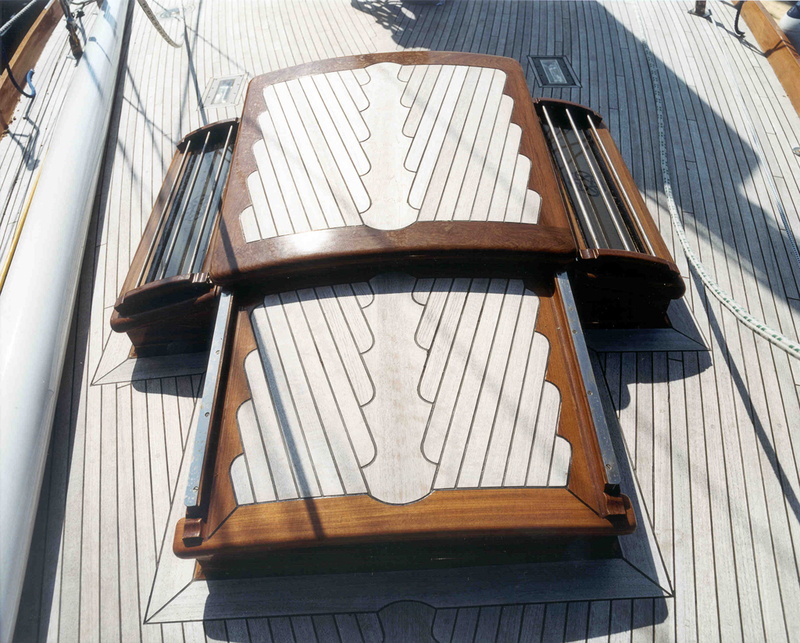 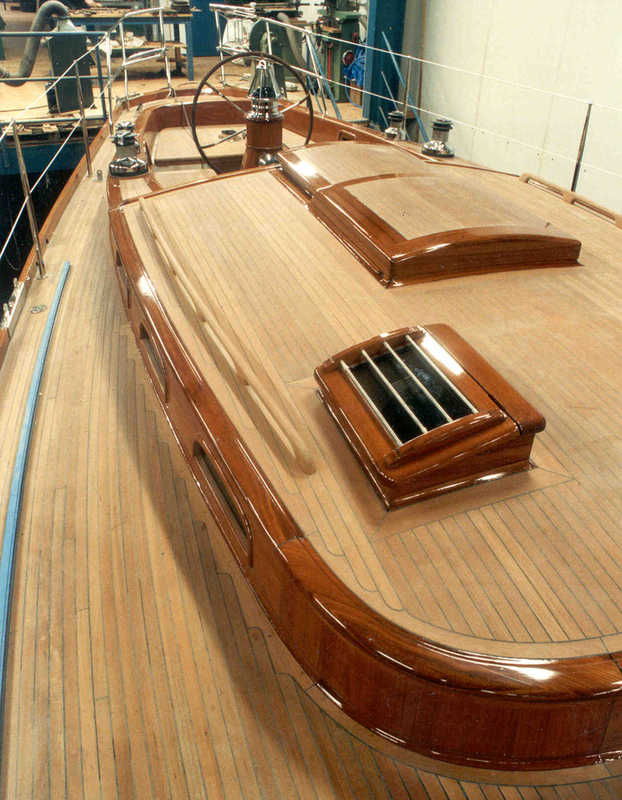 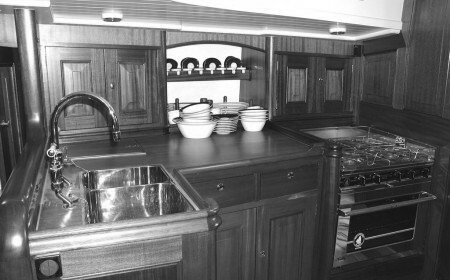 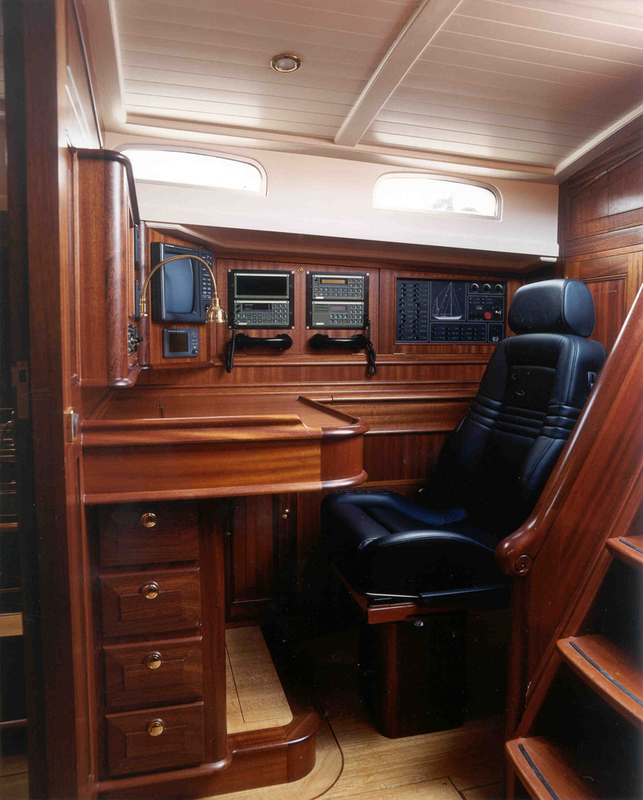 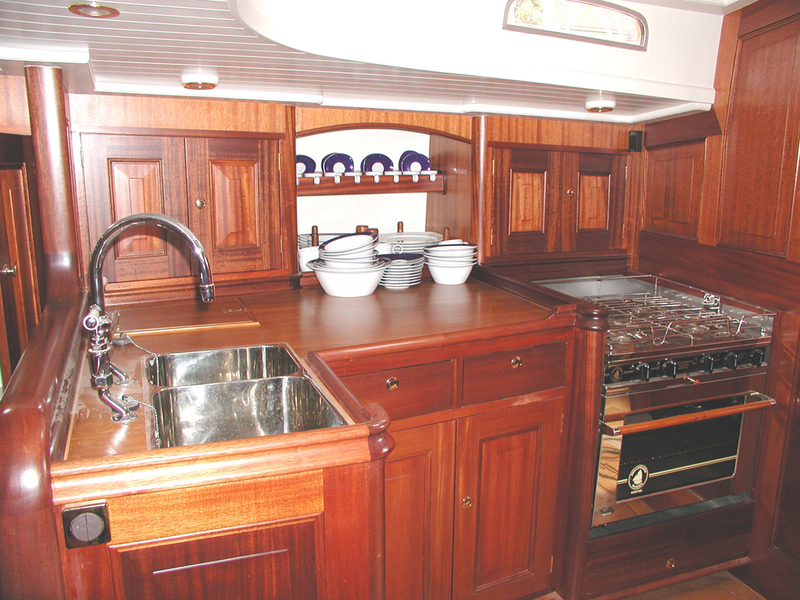 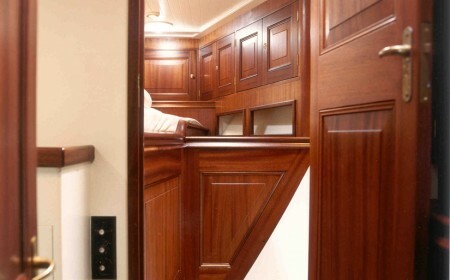 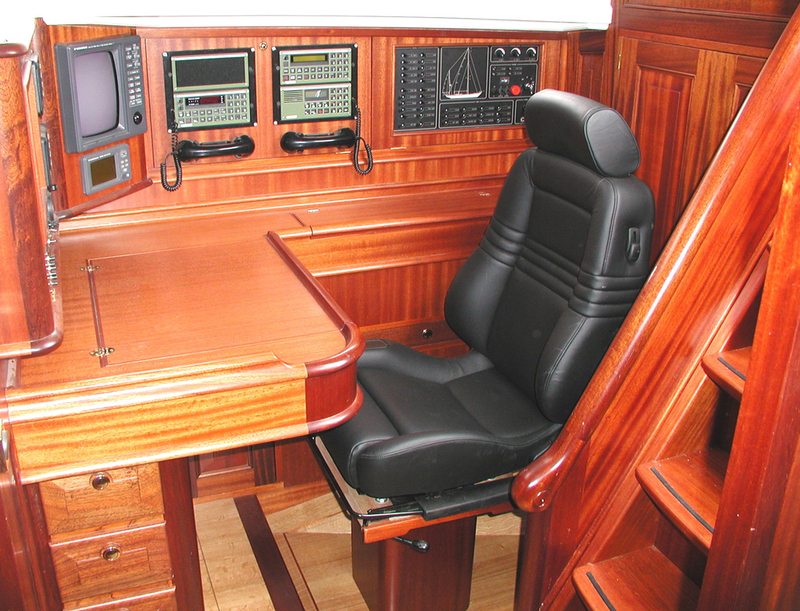 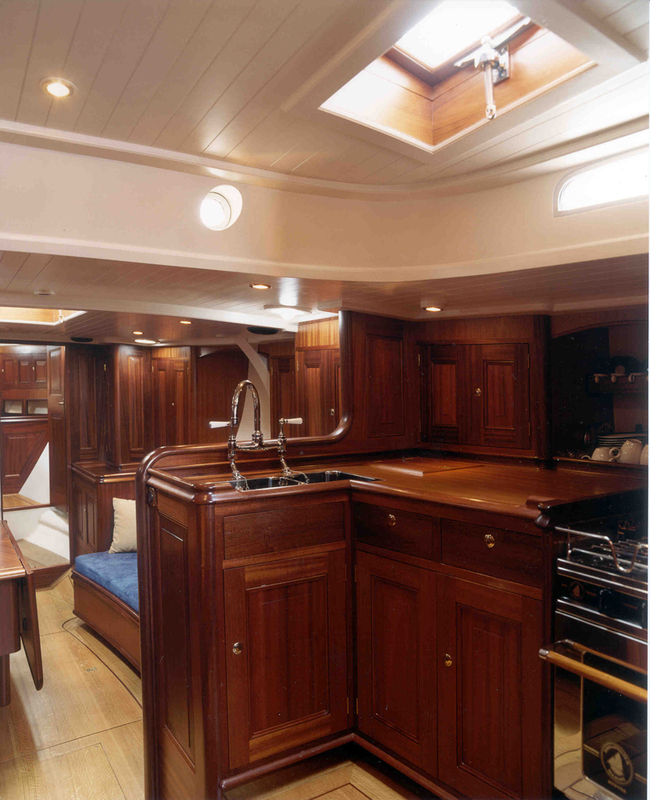 Rechristened Cesarina, the yacht was reborn with a Truly Classic feel. 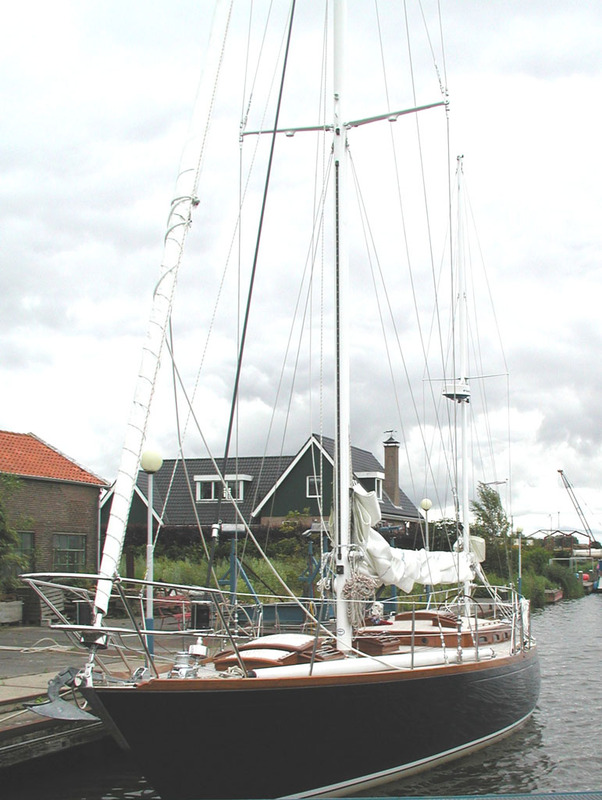 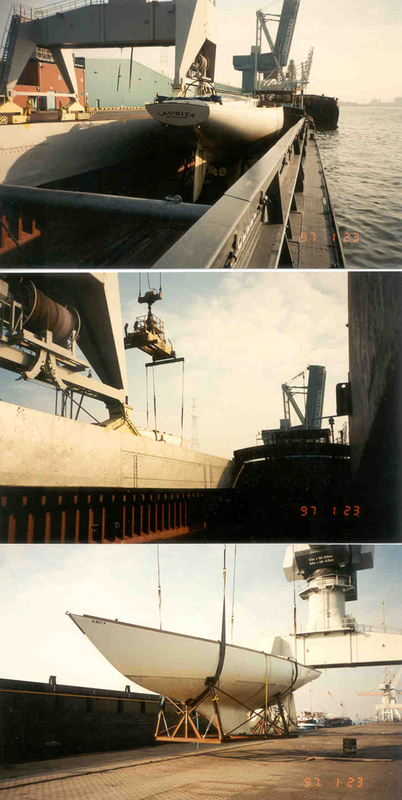 Companies other than Claasen involved in the refit included Nautor Swan Benelux and Cornelis Jongkind Scheepsinstallatietechniek. 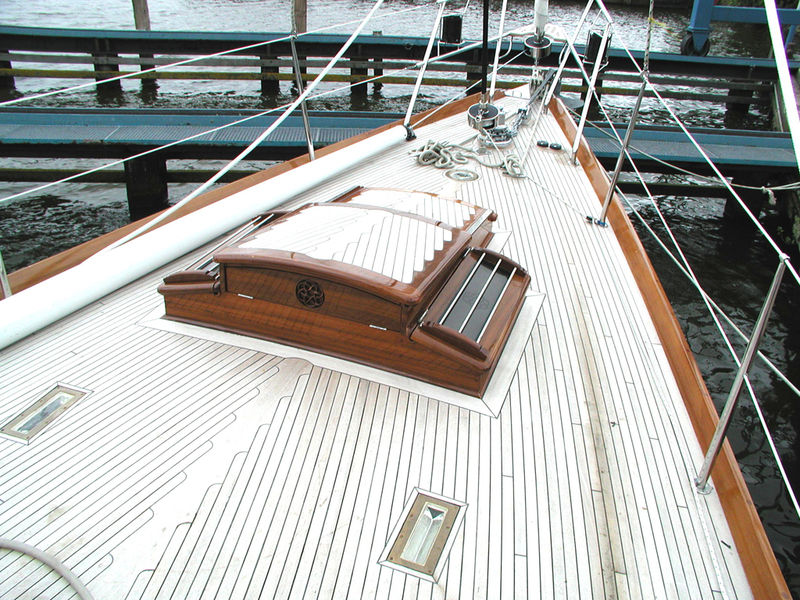 For more information on the classic Swans, visit the site of the Classic Swan Association or the Sparkman & Stephens Association.